The musical is the one indigenous contribution that America has made to the world’s theater – and even now it’s hard to separate the artistic ideal of the musical from the democratic ideal of the country that created it. As America is a huge melting pot of unimaginably diverse people, cultures, and geographical terrain, so the musical is the big theatrical stew into which have been tossed all the arts – high and low – of our national vaudeville: not just music and words, but dance and drama and comedy and spectacle, bawdy gags and exquisite emotions, the grit of slang and the grace of poetry. When it all comes together (and Broadway history indicates that such a coming together is a rare thing indeed), it is so beautiful to behold that it’s often described by critics as a “triumph.” That particular triumph, that unlikely melding of so many seemingly incompatible ingredients, is inseparable from the equally unlikely triumph of our United States. While the musical has its roots in Europe – in operetta and certainly in opera before that – it reached the elevated, original form it has sustained for three quarters of the twentieth century once it left the Old World behind. There is no question that the modern musical began with Show Boat, the undying creation of the writer Oscar Hammerstein II, the composer Jerome Kern, and the extravagant producer Florenz Ziegfeld in 1927. Up until then musicals had either been operettas (more or less) or one step removed from pure vaudeville: flimsy romantic stories or revue sketches pockmarked by the zingy pop songs of the post-World War I Tin Pan Alley explosion. Show Boat changed that: in his script, Hammerstein attempted not only to tell a real, serious story, but several stories drawn from the hugely popular Edna Ferber novel of the same title. What’s more, the stories and song lyrics trafficked in images (the mighty Mississippi River) and grown-up themes (race) that are eternal to American thought, literature, and fable, then and now – even as the show stopped on occasion to pay its respects to the giddy old-fashioned vaudeville turns performed by its show boat entertainers. It’s no wonder Show Boat, not to mention such standards in the score as “Ol’ Man River” and “Can’t Help Loin’ Dat Man,” remains as popular at the turn of the millennium as it was at its ecstatic premiere, which spawned countless road companies and even a silent movie version before talkies could catch up with its songs. The first truly epoch-making musical event after Show Boat came a few years later, though, when Rodgers, his collaboration with the dying Hart now in dissolution, teamed up with Hammerstein, whose career had declined following Show Boat. Their 1943 Oklahoma! was remarkable in countless respects. Like Show Boat, it told multiple stories in an evocative regional American setting, but it integrated modern dance more seamlessly into its plot and characters; instead of just dropping a ballet into the shank of Act II as On Your Toes had, Rodgers and Hammerstein worked Agnes de Mille’s sophisticated choreography into the entire piece, even using one celebrated dance number to act out the unabashedly Freudian sexual dilemma of a woman torn between two very different men. Comedy mingled throughout with sometimes disturbing drama, and the happy, hard-won conclusion was as literally American as you can get: The whole dramatic thrust of Oklahoma! was the rough road the people of an unruly frontier territory had to travel to achieve the communal harmony of a brand new state. Opening smack in the middle of World War II and defying previous conventions of the musical form (most famously so by giving its opening number, “Oh, What a Beautiful Morning,” to a single character, not a chorus), this unexpected hit seemed to express to audiences the very essence of what American boys were fighting and dying for. Oklahoma! 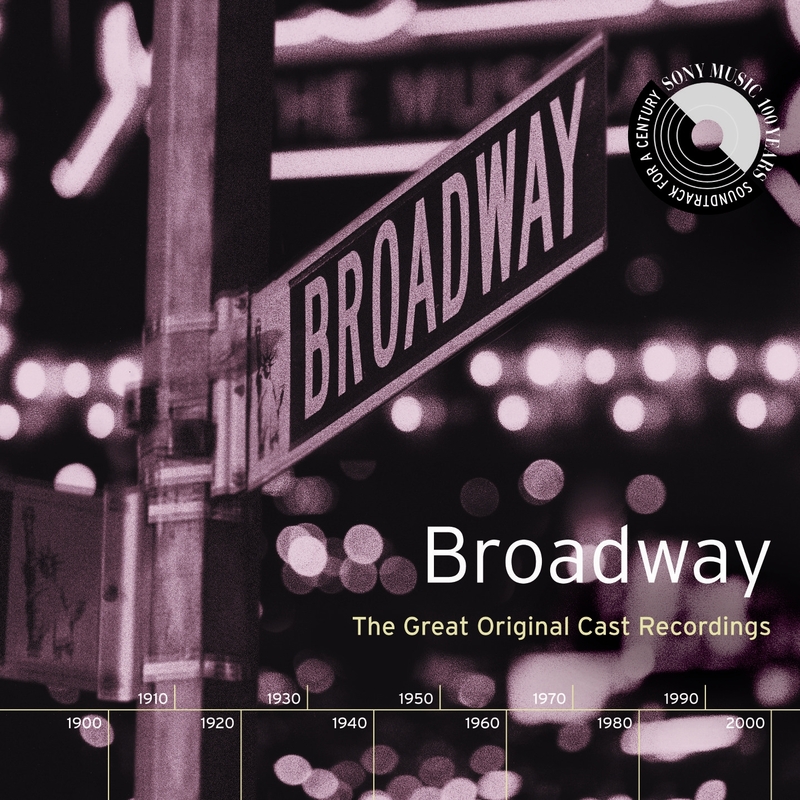 was also the first show to popularize the idea of an original-cast album – a single recording (then spread over a portfolio of 78 RPM shellac discs) in which the actual performers and pit band who played the show on Broadway recorded all (or most) of the music. The idea for such a complete recording of a Broadway show came from the Decca record label producer Jack Kapp. In only a few years, the concept would be brought to artistic fruition by Columbia Records, which became the premier producer of original-cast albums throughout the golden Rodgers-and-Hammerstein era to come – and after that as well. The guiding producer at Columbia was Goddard Lieberson, whose albums of Broadway shows are inextricably bound up with the achievement of the composers, lyricists, and stars who performed in them from the end of World War II through the war in Vietnam. Under Lieberson, the albums became more and more ambitious, with fuller and fuller versions of what was heard on stage – bits of dialogue and dance music sometimes included. The records ceased to be mere collections of a show’s songs but elaborately devised simulations of the theatrical experience – especially after the arrival of the long-playing album, which allowed Lieberson to give full vent to his creativity. Even the packaging of the records became part of the theatricality of a Columbia Masterworks Original Cast Album. By the 1960s, the records were voluptuous storybook affairs decorated with color production photographs and packed with dense texts describing the events and artists on stage and off. Today they remain the principal means by which the great but inevitably evanescent stage musicals of an unbeatable stretch of American theater history are remembered. The shows more than deserved Lieberson’s loving transcriptions of them. Rodgers and Hammerstein had a post-war streak bracketed by South Pacific (1949) and The Sound of Music (1959, their final collaboration before Hammerstein’s death). Their achievements were matched by those of other legendary songwriters working in the tradition of the adult, story-propelled Broadway musical established by both Show Boat and Oklahoma! In retrospect, there was one classic after another, from Burton Lane and E.Y. Harburg’s Finian’s Rainbow (1947) through Cole Porter’s crowning achievement, Kiss Me, Kate (1949), and the back-to-back smash hits of Alan Jay Lerner and Frederick Loewe, My Fair Lady (1956) and Camelot (1960). The ambitions of these musicals kept getting higher and higher, with Kiss Me, Kate drawn from Shakespeare’s The Taming of the Shrew and My Fair Lady from George Bernard Shaw’s Pygmalion. Both Finian’s Rainbow and South Pacific tried to address the heightened post-war awareness of America’s festering wound of racism. What all these shows had in common was that their hit songs – “How Are Things in Glocca Morra?,” “Wunderbar,” “Some Enchanted Evening,” “I Could Have Danced All Night” – were the country’s top songs on the hit parade, even for audiences who might not ever enter a Broadway theater. Yet even as these shows rode high, both on Broadway and on the road, with successful Hollywood adaptations often to follow, the musical was threatened by forces outside its orbit. Just as My Fair Lady opened, a new style of pop music, rock ’n’ roll, was challenging the primacy of Tin Pan Alley and Broadway songwriting. Simultaneously, the social forces fueling the youthful rebellion of rock music were making even the most advanced musical theater plots and settings seem like remote fairy tales. If the musical was to move past its Rodgers-and-Hammerstein formula – ultimately to speak to a post-Kennedy-assassination America that could never quite return to Camelot again – it would have to adjust. That adjustment wasn’t easy. At first there was a new burst of musical comedies set in a more contemporary, usually urban, post-war America. Typical were 1954’s The Pajama Game, which offered a picture of labor-management strife in the sunny colors of post-war suburbia (it became a Doris Day movie) rather than in the dour style of class-conscious drama of the ’30s, and 1956’s Bells Are Ringing, set in a razzle-dazzle Manhattan full of social climbers and vaguely Beat hipsters. Both shows tried, however gingerly, to sound “young.” (Jerry Ross and Richard Adler, who wrote the score of The Pajama Game, had actually enjoyed some success as early rock ’n’ roll songwriters.) The apotheosis of such ’50s musical comedies was Bye Bye Birdie (1960) – a show written in the same sassy style, but one that tried to meet the rock phenomenon head-on. Its hero was a swivel-hipped pop phenomenon modeled on Elvis; the songs, by Charles Strouse and Lee Adams, fluctuated between conventional pre-rock Broadway show music (“Put On a Happy Face”) and parodies of the Presley style then dominating the airwaves. But simultaneously with these frivolous, though often enchanting, “tired businessman’s” entertainments were new musical dramas that brought the serious-themed musical theater of Rodgers and Hammerstein into a new, more jarring age. Frank Loesser, heretofore the signature brassy Broadway tunesmith of Where’s Charley? and Guys and Dolls, wrote The Most Happy Fella (1956), arguably an opera and certainly a far more sober work than anything in his past; at the core of its story was an out-of-wedlock pregnancy and what appeared to be an attempted suicide. (Goddard Lieberson responded so strongly to its gorgeous, Puccini-esque score that he recorded the entire show on an unprecedented, for Broadway, three-LP set.) A year later came the landmark West Side Story, which spoke about the youthquake outside the theater not by appropriating rock ’n’ roll (the score remains Leonard Bernstein’s greatest) but by dramatizing the new gang warfare which, with its racial and ethnic overtones, was then traumatizing American cities. Its youthful rebels were alienated and violent, destined to a tragic end (a “rumble,” in ’50s vernacular) like the characters in its source material, Romeo and Juliet. West Side Story led directly to Gypsy (1959), with which it shared its book writer (Arthur Laurents), lyricist (Stephen Sondheim), and director-choreographer (Jerome Robbins). Much as Loesser had turned down a different, unexpected path in The Most Happy Fella, the composer of Gypsy, Jule Styne, turned out a score that could hardly have been anticipated from his uniformly buoyant previous musical comedies, like Gentlemen Prefer Blondes (1949) and Bells Are Ringing. In Gypsy, the real-life story of Gypsy Rose Lee and June Havoc – sisters who were raised in vaudeville before growing up to become (respectively) a striptease star and a serious actress-playwright – became a cue for a harrowing account of a dysfunctional, fatherless family ruled by a hard-charging, at times even demented, stage mother. A new kind of show for a new era, it even reinvented its star, Ethel Merman. In “Everything’s Coming Up Roses,” you can hear the beloved, happy belter of Anything Goes and Annie Get Your Gun transform herself into an angry modern woman who belongs more to the time of Edward Albee than that of Cole Porter and Irving Berlin. Shows of this high caliber and new gravity helped the Broadway musical retain its hold on the audience – and attract at least some new young theatergoers – at a time when it was under siege not only from the rock culture but from the increasingly pervasive television culture. While there would never be going back to that incredible heyday between Oklahoma! and My Fair Lady – and while Broadway songs would never again dominate any hit parade – the musical had found the footing that would allow it to survive and, in its way, again flourish. Sondheim graduated from being just a lyricist to being a composer-lyricist, and as he did, attempted even more daring shows than West Side Story and Gypsy. In 1964’s Anyone Can Whistle (again written with Laurents) he wrote a parable that suggested the Theater of the Absurd. It was a huge flop, running only a week, but, again thanks to Lieberson and Columbia, who recorded it after the closing, it has enjoyed an afterlife. In the years to come, the director Harold Prince, who had been a co-producer of West Side Story and the sole producer of 1964’s Fiddler on the Roof, would stage a series of shows that extended the musical’s ambitions still further. Cabaret (1966), with its score by John Kander and Fred Ebb, dared musicalize the rise of the Nazis in Weimar Germany. Banding together with Sondheim, Prince did a progression of unexpected projects, all with innovative scores that mimicked neither rock nor old Broadway, but instead posited a new kind of adult theater music. Among them were Company (1970), which told of the neuroses of contemporary married couples buffeted by midlife crises, post-’60s sexual mores, and the ubiquity of marijuana, and A Little Night Music (1973), which took its themes of disenchantment, aging, and mortality from its sophisticated cinematic source, Ingmar Bergman’s Smiles of a Summer Night. While old-fashioned musical comedies did and do continue to enjoy success on Broadway, whether in revival (the 1971 version of 1925’s No, No, Nanette), or in emulation of old hits (Mame, Jerry Herman’s 1966 follow-up to his previous Hello, Dolly! ), or in the ’50s musical-comedy style (1977’s Annie), some traditional Broadway songwriters followed the Loesser and Styne example and changed with the times. An exceptional example is the jazz-based composer Cy Coleman, who wrote about dance-hall palace women and their johns in Sweet Charity (1966) and, some 30 years later, actually took on prostitution in The Life. There would be other innovations still to come. In 1975 A Chorus Line used dance and characters (including a major musical’s first openly gay men) more than its songs or conventional plot to propel the show – and did away entirely with the heavy scenery traditionally associated with the Broadway musical. Set on the bare stage of a Broadway audition, the show registered the passing of an age. When, at its end, the company finally suits up in glittering costumes and top hats that evoke a Mame or Dolly, it’s an ironic gesture; the song (“One”) and dance seem dated, compared to what has come before. In the years since A Chorus Line, spectacle has made a comeback in Andrew Lloyd Webber and Disney musicals, rock music has made occasional inroads, and artists who have been a part of the scene since the My Fair Lady apex, such as Prince and Sondheim, have continued to experiment and grow. The classics of the musical’s last golden age (so far) – West Side Story, Gypsy, and The Most Happy Fella, not to mention the entire Rodgers and Hammerstein canon and Show Boat – seem to be in almost constant revival, so durable are their songs, stories, and universal emotions. As a new millennium dawns, it’s impossible to know what the future will bring for the musical. For all the changes this kind of theater has already gone through, it still remains a young form. It’s even younger than the country that spawned it, and, as you’ll hear in this cavalcade of some of its highest achievements, every bit as brash, unpredictable, pulse-racing, and, on occasion, inspiring.